At least it is first thing in the morning. I'm here an hour before the library opens, searching for books that have been requested by customers. Every day at my branch there are several hundred of these, and the goal is to pull them all before noon. Only a few weeks working at this library and I already have a pattern-- where I park the cart and how I stack the books so I can pull as many as I can in one load. I know the more popular, requested books by sight. The cookbooks and books on knitting, the testing prep books for the ACT or GRE, the latest bestsellers. But every day there are a couple of oddball books that end up on my cart. 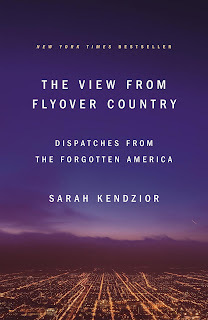 The View from Flyover Country: Dispatches from the Forgotten America is not fiction but a collection of thought-provoking and disturbing essays written by Sarah Kendzior, an expert on authoritarianism who lives in St. Louis. 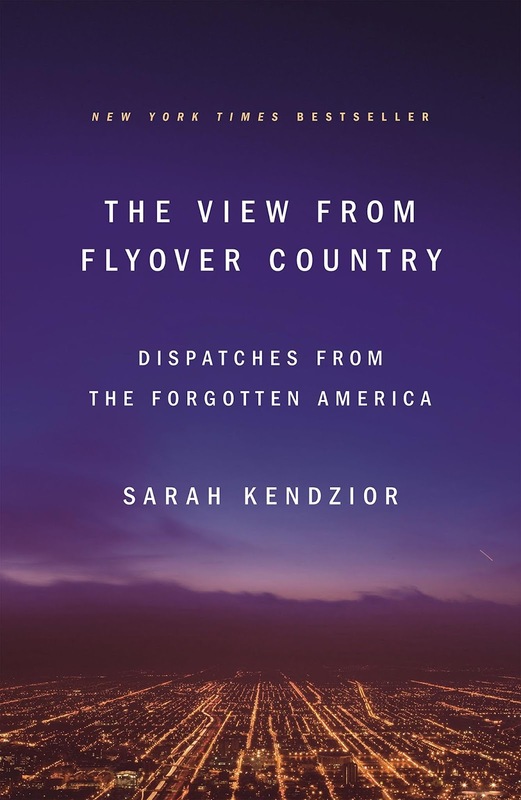 Each essay, which Kendzior wrote over the past several years and leading up to the 2016 election, centers around topics such as poverty and class and race. I have been thinking about some of these issues after my library training, which turns out, covered more than simply how to pull requested books and how to shelve them after they're returned. For example, I learned about how public libraries are pretty much the only places in our country open and welcoming to everyone. Sometimes that means people checking out cookbooks and books on knitting and sometimes that means young children hanging out without a parent and sometimes that means a homeless person coming inside from the cold and sitting in a comfy chair to read the newspaper. It's not often that all of us are in the same room together. I pull books on baking Christmas cookies and how to start a new business and how to take care of your autistic child. Books of poems and books on dinosaurs and yoga and computer languages. I ponder baking bread and learning Japanese and worry about climate change. I stop to help a man log on to the library internet. I lead a woman to the books on grammar. I recommend a picture book on unicorns. I shelve books and pull books and organize books. I pass the teen section where I see my own book and think about how it is just another book, waiting for someone to check it out and return it so I can shelve it again. Working in a library teaches an observant person and writer many fascinating things. Good post. I'm gonna get the fly over book for my hubs. 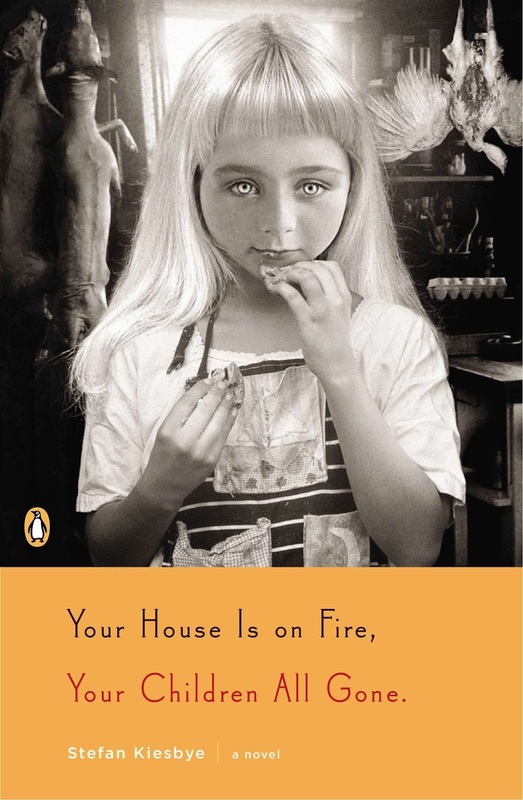 It's a great book, Kathy. You'll like it too! I think you found your niche. 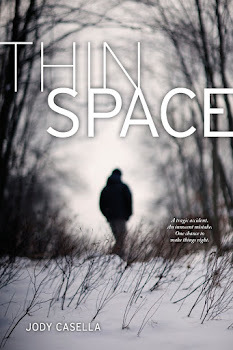 A perfect place for you, my Dear.